The Jade Monkey building at 29 Twin Street in Adelaide was the subject of an intense heritage battle in 2012. At the time it was a very popular and successful live music venue, which had its lease terminated when the owners received approval to build a budget hotel next door. Thousands of live music devotees and heritage building fans made long and loud protests to the government, Adelaide City Council, and the building owners, but without success. The building was demolished on January 16 2013 by Hines Property to enable a crane to be parked on the spot. When James and Margaret Calder emigrated to Adelaide in 1852 they soon established a bakery, with a shop in Rundle Mall (then Rundle Street). 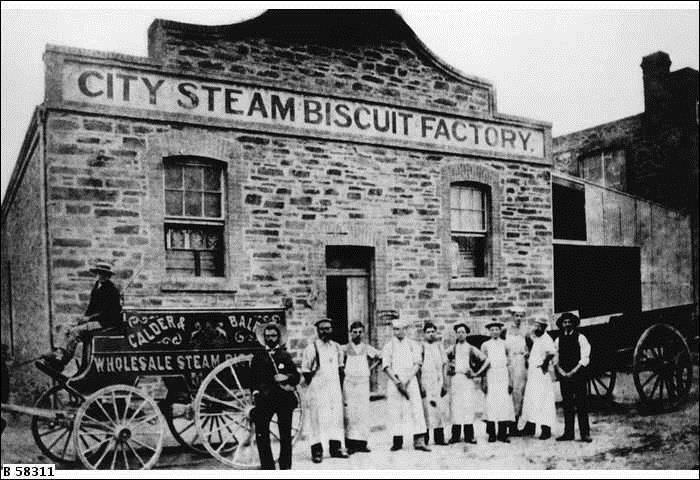 The bakery was very popular in the young growing colony and in 1872 they built the City Steam Biscuit Factory to increase their business production which had been made by hand previously. The biscuits were well received and in 1873 James Calder advertised as being Biscuitmaker to H.R.H. the Duke of Edinburgh. By 1880 James Calder was suffering health problems, and he brought his nephew John Balfour into the business as a partner, calling the business Calder & Balfour. In 1889 Calder died and John Balfour assumed complete control of the business. Balfour went on to build a new factory in Cardwell Street Adelaide in 1892, and Balfour’s wife Elizabeth began a new business with her son J.G. Balfour and son-in-law C.P. Wauchope. Balfour & Company took over premises in Morphett Street in 1908 and continued to prosper. Balfour’s Bakery was for decades the most popular bakery in Adelaide, making a range of pastries and cakes that were South Australian icons for generations. Little is known of how the City Steam Biscuit Factory building was used until 1923 when Claude Bennett advertised in The Register that he was teaching Physical Culture and Boxing at 29 Twin Street to 1700 pupils each week. Bennett continued his classes at the City Steam Biscuit Factory building until at least 1932, and possibly as late as the 1950’s. By 1969 the building was home to Pet Supplies Pty Ltd (wholesalers) and the Twin St Music Centre. The Cellar Blues Club occupied the basement, and was a popular music venue of the times operated by legendary Adelaide music promoter Alex Innocenti. It was an appropriate forerunner to the Jade Monkey and Two Ships live music clubs which occupied the premises from around 1992 until 2012. Fortunately the Jade Monkey was eventually able to secure an attractive restored heritage venue in part of St Paul’s Rectory. 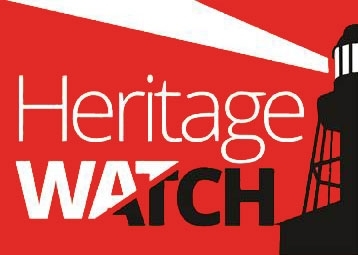 While the former City Steam Biscuit Factory was nominated and briefly entered on the State Heritage Register, it was removed by then Heritage Minister Paul Caica “in the public interest”. This important building that survived 130 years in Adelaide’s changing skyline is no longer – depriving all South Australians of a unique place and a part of their history.